The tartness of the cranberries paired with the acid and sweetness of the orange juice is a perfect complement. Just a handful of ingredients in this. 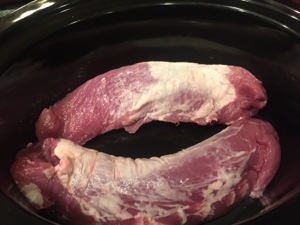 Two tenderloins just fit in my slow cooker. 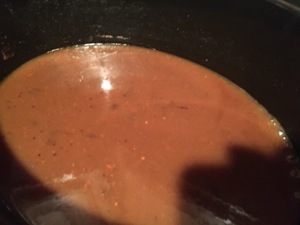 The gravy making from the juices. Prep Time: 10 min | Cook Time: 315 min | Servings: 4 servings. 1. 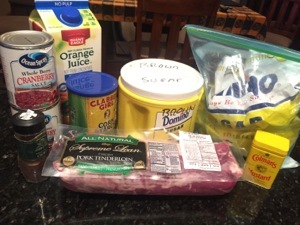 Place pork in a 3-qt. slow cooker. 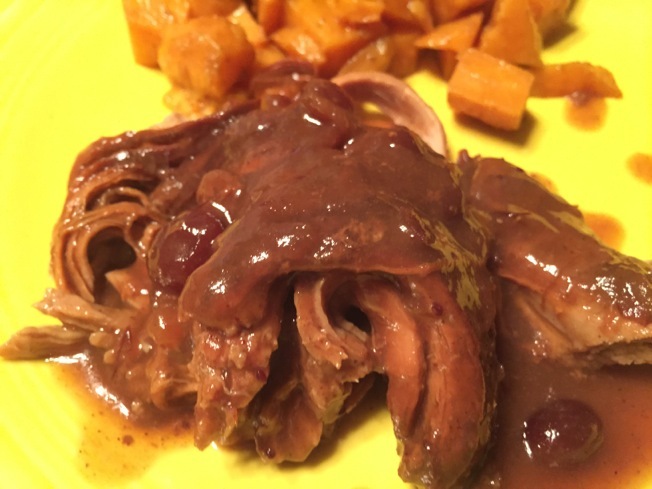 In a small bowl, combine the cranberry sauce, orange juice, sugars, mustard and cloves; pour over pork. Cover and cook on low for 5-6 hours or until meat is tender. 2. Remove pork and keep warm. 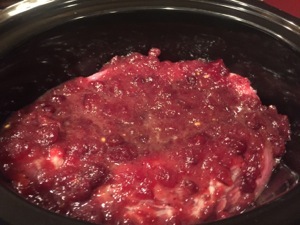 Combine cornstarch and cold water until smooth; gradually stir into cranberry mixture. Cover and cook on high for 15 minutes or until thickened. Serve with pork. Yield: 4 servings. 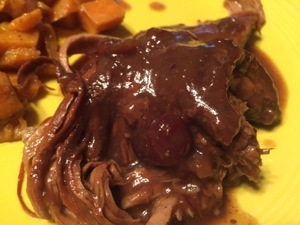 Nutritional Info: 3 ounces cooked pork equals 388 calories, 4 g fat (1 g saturated fat), 63 mg cholesterol, 71 mg sodium, 65 g carbohydrate, 2 g fiber, 23 g protein.